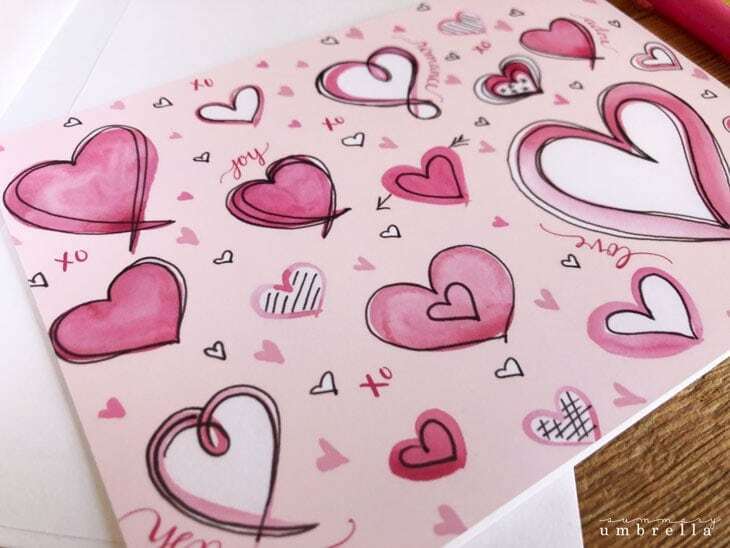 You are here: Home / Craft Ideas / FREE Printable Valentine’s Day Cards for YOU! 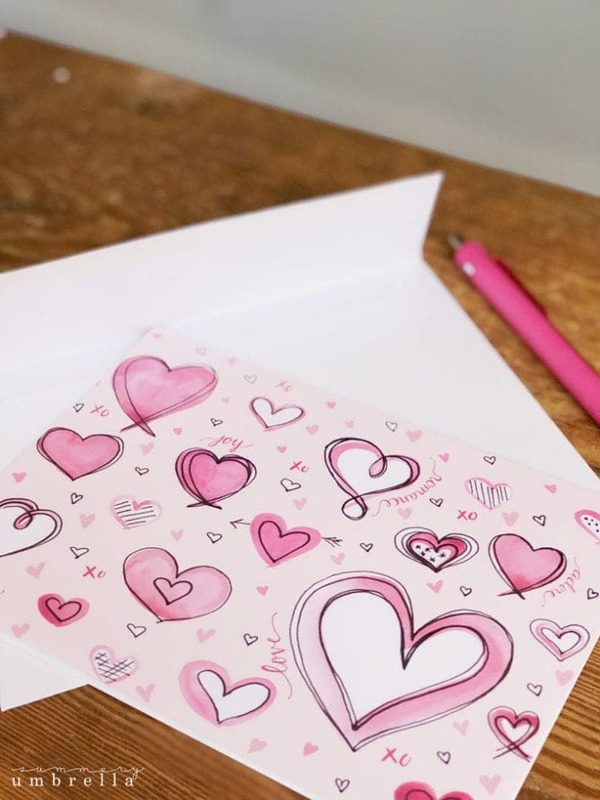 Have you been looking for printable Valentine’s Day Cards for the upcoming holiday? Look no further, my friend! 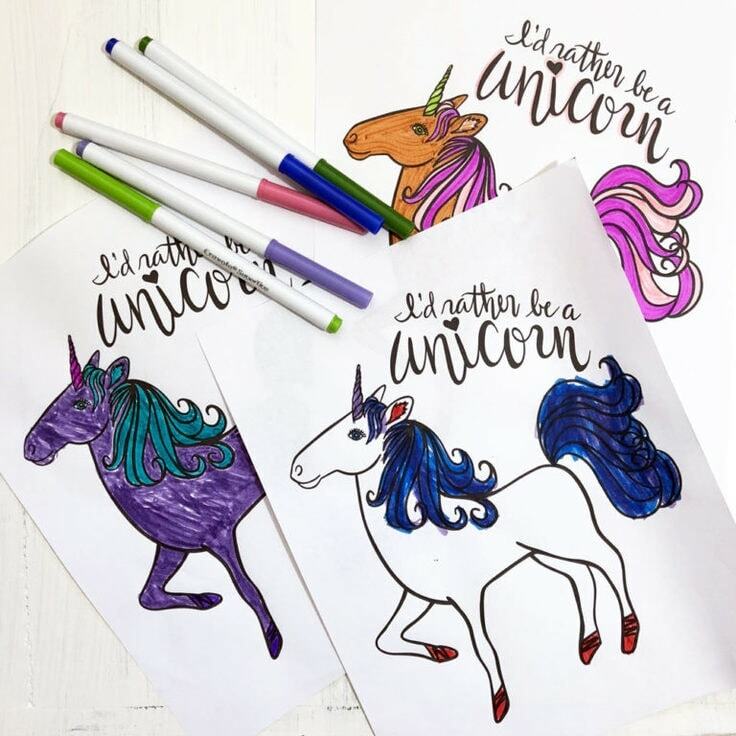 These FREE beauties are perfect for both kids and adults alike. 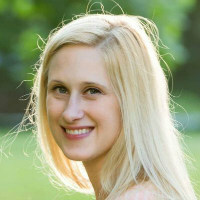 Well hello again, Kenarry readers! 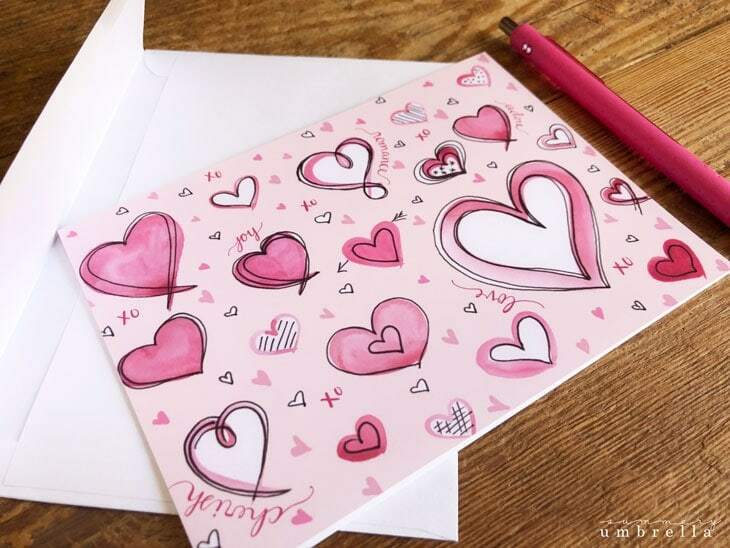 It’s LZ Cathcart from The Summery Umbrella, and I’m so excited to share with you these super easy and FREE Printable Valentine’s Day Cards that I just know you’ll love. Can you even believe that it’s 2019 much less already February?! It absolutely blows my mind that in just a few shorts months it’ll also be spring. With that being said, I have already taken down my winter home decor and have started to put up my spring stuff. I know, I know. It’s crazy, but I just can’t help it! Cold, dreary weather makes me mopier than I’d care to admit so I avoid almost all winter related decor after the holidays. In fact, I’ve even gone as far as starting an indoor herb garden because I’m so ready to see the bright greens of summer that I adore oh-so-much! With that being said, if you’ve never stopped by neck of the woods (aka. my blog) I enjoy sharing my three favorite things: DIY, Design, and Decor projects. For instance, you’ll find everything from How to Force Flower Bulbs to my Repurposed Table Turned Tilt Out Garbage Can as well as my hand drawn vectors for all of your crafting needs. Definitely make sure to stop on by and say hi sometime. I’d love to see you over there! Not to mention, you’ll definitely want to check out my last month’s printable as well as these hand lettered drink coasters that are also a super easy DIY that double as an excellent gift! Last month I shared that I started a new drawing and painting habit where I’ve been getting up at 4:30 every morning so I have enough time to paint prior to going to work. I have to admit that I was doing pretty good until my 12 year old dog (Kyler) was diagnosed with congestive heart failure and unfortunately passed away two weeks later. I’m not ashamed to say that I weeped like a baby for that entire two weeks prior to and an entire week after. It was really tough since I raised him from a 10 week old puppy, and unfortunately my new daily habit suffered tremendously. But on a positive note, do you know what I learned from this tremendous loss? I’ve learned how important it is to always be thankful for every moment that you have with your loved ones (whether they’re furry or not!). 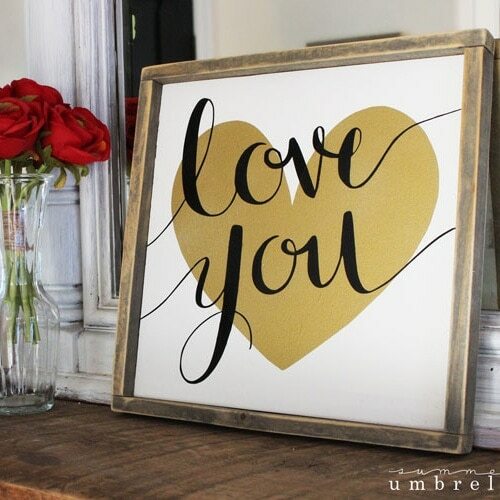 So, today’s printable is not just about the lovey-dovey upcoming holiday, but more about the true meaning of love, joy, and cherishing the ones you are close to. Moving onwards… let’s get this printable into your hands so you can use it too! 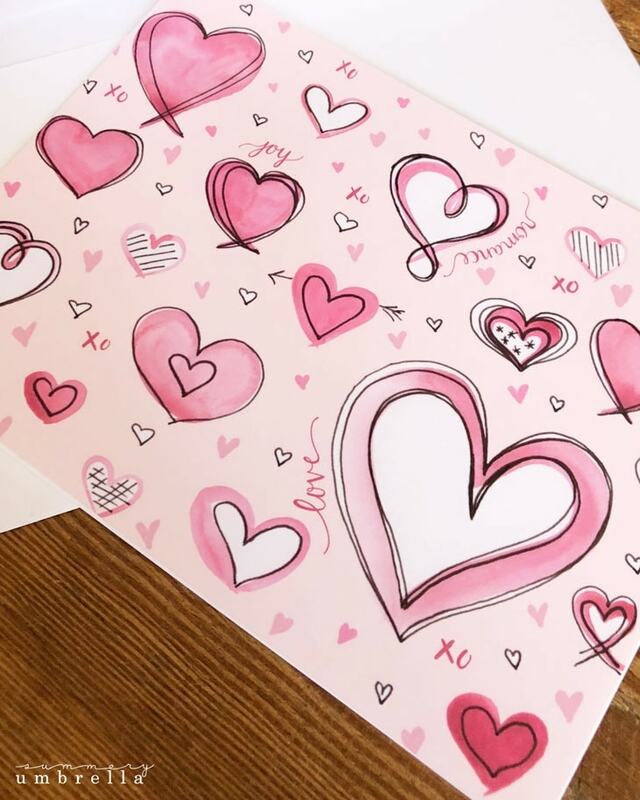 First things first, sign up below and get your Printable Valentine’s Day Cards that you’ll be able to use for your kids or even for your favorite loved one(s). Once you’ve confirmed your e-mail address, we’ll send you the free digital printable. Plus you’ll have the opportunity to get the weekly Kenarry Ideas In Your Inbox newsletter as well as access to our resource library stocked with free printables, product discounts and other content that is EXCLUSIVE for Kenarry Idea Insiders only. Then you just need to download the PDF file and save it to your computer. 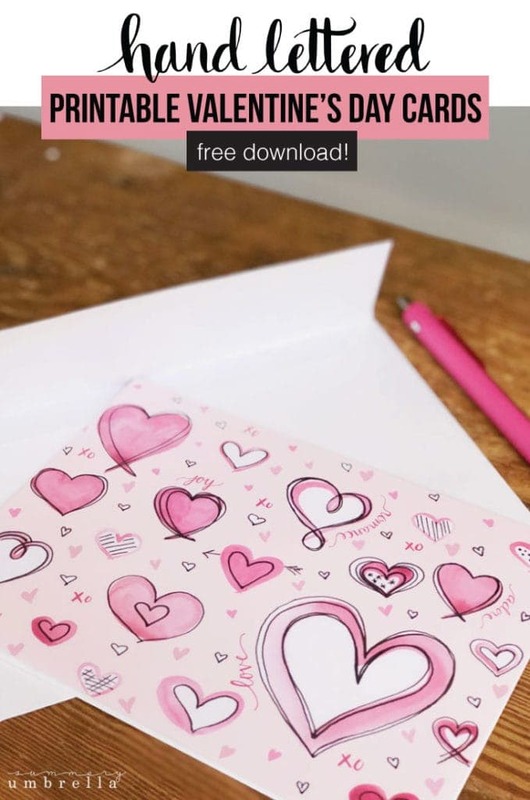 This FREE Printable Valentine’s Day Cards and all other free printables from Ideas for the Home by Kenarry™ are for your own PERSONAL USE ONLY. While you absolutely can print this beauty out with your own printer I would like to introduce to you a few other options that I personally believe are 110x better. Plus, their photo or matte paper is incredible, and the quality is phenomenal! So, one of my favorites to use is actually just my local Walmart. I can upload my photo/image online, select 1-hour photo, and then pick-up it at my leisure within the next few days. It’s truly amazing! However, if I am being a little proactive (and/or lazy!) I’ll use my other favorite which is Amazon Prints. Not only is the process just as easy as Walmart’s, but my prints will come straight to my door. AH-mazingggg! For instance, an 8×10 is only $1.79, and if you have Amazon Prime the shipping is completely free! What’s awesome about both of the above choices is that they’ll look beautiful as a postcard, folded card, or even a wall print. Pick the most convenient option just for you! Hope you have a most wonderful Valentine’s Day! It was so nice to “meet” you again, and I’ll see you again next month about this time ?